Second-half goals from in-form strike duo Raul Jimenez and Diogo Jota helped Wolves at expense of Ole Gunnar Solskjaer’s men. For the first time in 21 years, Wolverhampton Wanderers have qualified for the semi final of the FA Cup in England and they did so in style; beating Manchester United in their quarter final contest at Molineux. 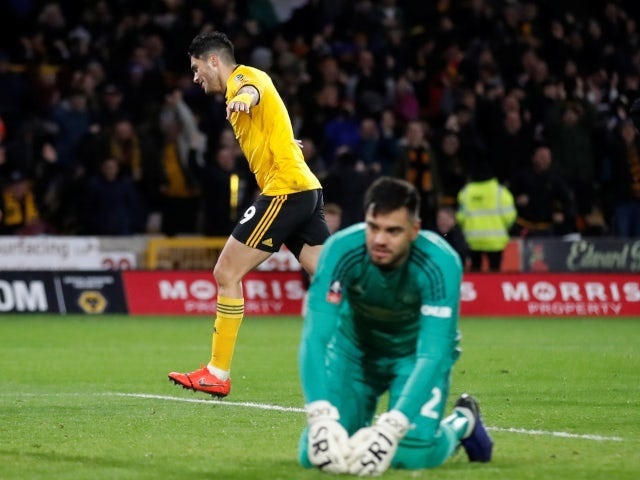 After coming close on a number of occasions, Wolves got a deserved opening goal in the 70th minute when Jota cut in from the left side and picked out Jimenez, who turned and fired a shot past Romero to make it 1-0. United's hopes of a comeback seemed to take a hit in the 81st minute when Victor Lindelof was shown straight red for a sliding tackle on Jota, but the card was changed to yellow after the referee consulted the video assistant. Though Marcus Rashford pulled one back for United it was too little too late and Wolves progress to the final four at Wembley.